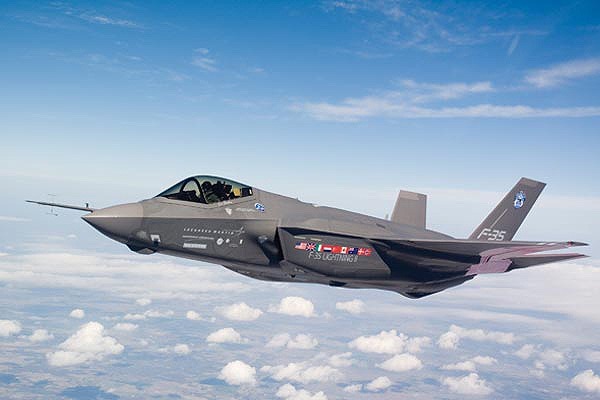 The Lockheed Martin corporation has produced a family of the fifth generation multirole fighter called F-35 Lightning II. It is a single engine and single seated aircraft. IT hasn’t entered service yet, but when it does, it will be among the world’s most advanced aircrafts, fully equipped for ground attack, air defense and reconnaissance missions. The F-35 family has three models: the conventional landing and takeoff model, a vertical landing and short take off model and a carrier-based model. The F-35 predecessor is the X-35 produced as part of the JSF Program. The Joint Strike Fighter program is funded basically by the U.S. with addition funds provided by U.K. and other governments, partners of the program. The aerospace industry team that designs and builds the model is lead by the Lockheed Martin Corporation. The F-35 first flew in December 2006. This aircraft will be purchased by the U.S. Government for 323 billion USD, totalizing 2 443 aircrafts. The flyaway cost which is expected for the F-35 is somewhere between 89 and 200 million USD added to the production costs. F-35C is a carrier-based CATOBAR (CV) model. F-35B is a STOVL model. STOVL stands for short-take off & vertical-landing. F-35A is a CTOL model with conventional take off & landing. 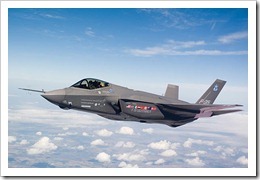 The builders intend to make of the F-35 the premier strike aircraft in the world, by the 2040. It would operate long range and close range air-to-air combat, which is only surpassed by the F-22 Raptor. The F-35 is supposed to have four times the efficiency of existing air-to-air combat fighters and eight times the efficiency in air-to-ground combat than the existing models. As for the suppression and reconnaissance missions of air defenses, a three times increased efficiency is expected related to present fighters, using less logistic support and having better range.